State Inspector General Stephen B. Street, Jr.
Mr. Street has served as Louisiana’s Inspector General since January of 2008, and was confirmed by the Louisiana Senate for a second six-year term that runs through January of 2020. The Louisiana State Inspector General is an independent office dedicated to investigating fraud and public corruption. Mr. Street received his law degree in 1989 from the Paul M. Hebert Law Center at Louisiana State University. The bulk of his years as a practicing attorney have been spent in the field of criminal law at the state and federal levels, first as a criminal staff lawyer with the Third Circuit Court of Appeal in Lake Charles, and then later both defending and prosecuting serious criminal cases. Mr. Street has extensive experience as lead trial counsel in a wide variety of cases, from capital murder to complex white collar and economic crime. From 2000 until his appointment as Inspector General, Mr. Street exclusively handled white-collar fraud and public corruption prosecutions as the Section Chief of the Louisiana Attorney General's Insurance Fraud Support Unit. Investigations/prosecutions handled by the unit ranged from basic claims fraud to multi-defendant insurance fraud, money laundering, and conspiracy cases. Since becoming Inspector General, Mr. Street has overseen the transformation of the office from an internal audit shop into a statutorily empowered law enforcement agency. The office is now focused primarily on criminal fraud and public corruption investigations, with an eye toward securing indictments and convictions. The office works very closely with the United States Attorneys and Federal Bureau of Investigation in all three districts. The Inspector General is staffed with seasoned law enforcement professionals experienced in complex white collar fraud and public corruption investigations. The Louisiana Inspector General also has a formal partnership with the Federal Bureau of Investigation on the New Orleans Public Corruption Task Force. Since transitioning to law enforcement, the Inspector General has experienced great success, working numerous criminal cases, both independently and with law enforcement partners. In the fiscal year ending June 30, 2014, the office identified 17.6 million dollars in fraud and corruption, nearly ten times the amount of its state general fund budget. Mr. Street is a Certified Inspector General (CIG), and regularly conducts training on white collar and economic crime investigation. He continues to serve as an instructor for the National White Collar Crime Center (NW3C), teaching courses on Financial Investigation Practical Skills (FIPS) offered to law enforcement throughout the United States. Mr. Street also serves as an adjunct instructor for the Inspector General Criminal Investigator Academy's Public Corruption Investigation Training Program, and for the National Association of Inspectors General (AIG) certification institutes. 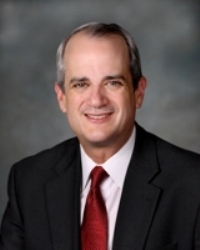 Mr. Street was elected President of the National AIG in October of 2014 and assumed office on January 1, 2015.